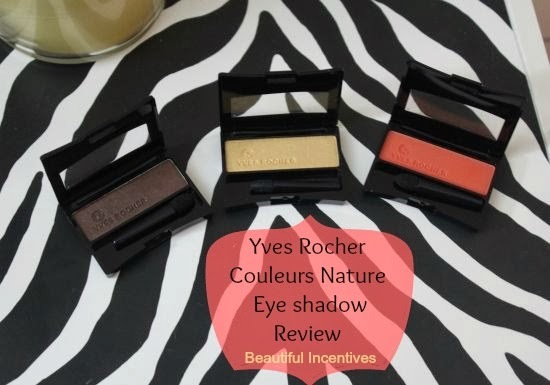 I have reviewed quite a few makeup treasures from Yves Rocher, so when I had the chance to experience more I was fully on board. Their eye shadows are always beautifully pigmented and go on so smooth and flawless. Another fine example of this is their Couleurs Nature eye line of eye shadows. 3 of the many colors they offer are pictured above and they are all very pretty shades perfect for Autumn. You'll "Fall" in love with these, I assure you. These shadows are very pigmented and vibrant. These go on incredibly silky and smooth and look even prettier with eye shadow primer. I highly recommend using the primer on all shadows for staying power and more pigment. Not that these need any more at all! I think my favorite color out of all of them is the Sparkling gold. It makes a great highlighter on the top lid or as a base. It also looks good in the corners of the eyes to highlight the other colors. Use all 3 colors to get a bold sultry autumn look. 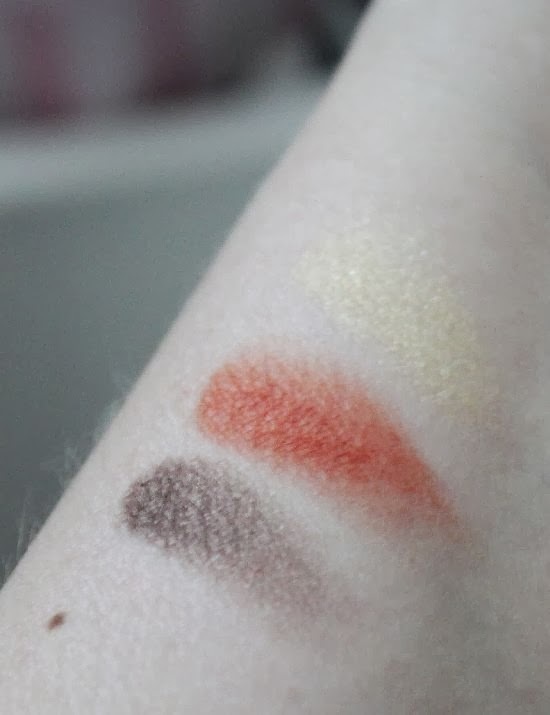 These colors combined would make a beautiful orange and gold smokey eye. Slip on a brown or golden orange dress to boot and you are good to go. Yves claims that these will last you 8 hours and they are right! I had the brown on for longer than that and it never wore off. I also didn't use primer. The Couleurs line consists of satiny, sparkly and matte eye shadows. Perfect for different looks desired. They also offer creamy based eye shadows, mascara and much more. If you'd like to grab these beauties right now, you can take advantage of their low price at just $8 a pop! Free Shipping when you spend $40 and they always give free gifts that you can choose yourself!